Gather feedback and drive repeat placements. Actionable data at your fingertips. Deeply integrated and built just for staffing. Get updates about content, research or general Herefish news. How can you tell if someone is engaged? In person it can be difficult. You need to be able to pick up on subtle hints and movements. Perhaps their eyes are wandering or they’re looking at their phone. Perhaps they’re offering subtle nods to statements they agree with, or their posture is open and receptive. Reading physical cues is a skill that humans have developed over millions of years, and one that is vital in measuring how well your message is being received. Measuring candidate engagement is admittedly a totally different kettle of fish, but no less complicated to do. As a recruiter, you need to ensure that your message is getting through to your candidates. But with digital communication taking over from phone calls and in-person interviews, recruiters are less reliant on traditional measures of engagement, and more reliant on data in the form of zeros and ones. So how do you digitally measure how engaged both your current and potential candidates are with your recruiting message? Most modern-day recruiters will use an Applicant Tracking System (ATS) to track their applicants through their journey with the firm. Hence the name. An ATS allows you to construct a candidate profile, complete with education, skills, certifications and employment history information, and then track your engagements with the candidate over the course of your relationship. Source Quality/Follow-Up: Gather numbers on the new candidates added monthly, the percentage of those candidates reviewed and contacted, as well as submitted, interviewed and placed in a position. The sources of these candidates should be broken down to analyze how fruitful each source has been, and a firm focus should be placed on the percentage of new candidates reviewed and contacted. Candidate Engagement: What percentage of your database has been engaged in the last 30 days/90 days/6 months/1 year/2 years/2+ years? It’s not necessary to engage every candidate every month, but checking these figures can help to prioritize your firm’s next move. If there is a substantial percentage of candidates who haven’t been contacted in 2+ years, for example, it might be time to clear the deadwood from your database. ATS Source Activity: The percentage of candidates submitted, interviewed and placed who were found in your ATS vs a job board or other paid source. A recent Herefish study found that 64% of recruiters listed ATS and referrals as their ideal source of hires, while only 31% listed the same as their top source. By focusing on moving away from a dependency on job boards and LinkedIn, a firm is subsequently forced to focus on the engagement of their current candidates. The overarching message is that by using your ATS to measure engagement with your candidates you’ll be in the best position to identify your current weaknesses, to keep an eye on how your talent pool is growing and changing, and to measure which engagement efforts are the most effective moving forward. Despite social media being seen as the goose that’ll lay those golden candidate eggs by many a modern-day recruiter, email still forms the backbone of a recruiting firm’s engagement strategy. It remains the most important method of engagement, with a reach that far outweighs that of any social platform. According to Mailmunch, while email enjoys an average open rate of 20%, the organic reach of a Facebook post can be as low as 6% of your followership, falling to just 2% on Twitter. Surprisingly, according to the aforementioned Herefish survey, despite 85% of staffing firms agreeing that email marketing is valuable, only 31% do it. Open rate is one metric that needs to be measured if you are to successfully engage with your talent pool via email. You’d also be wise to track click-through rate, unsubscribe rate, hard and soft bounces and delivery rate. By offering your candidates relevant material and interesting content you’ll likely see both these metrics and your email ROI improve. While perhaps not offering the penetration of email, social media is still impossible to ignore as an opportunity to engage with your candidates, and to measure that engagement. The focus on social media is usually to expand your audience, enticing new candidates in. Facebook and LinkedIn represent your bare minimums as a recruiter (LinkedIn is perhaps the most important, sending 4x more people to your homepage than either Facebook or Twitter), and both offer excellent feedback on reach, impressions and post engagement. It’s important to realize that social media can represent a huge drain on time if recruiters are allowed to have free reign. Form a firm social media strategy off the back of the metrics you receive to ensure that time is spent wisely. As we’ve noted before, your employment brand is one of the most important – but also one of the most mysterious – strategies for recruiting firm growth. LinkedIn found a strong brand can drive no less than 2x the amount of applicants per job. 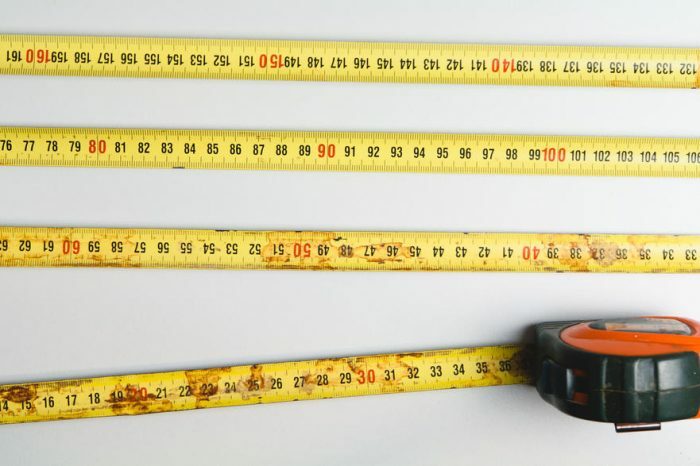 So how do you measure candidate engagement in regards to your employment brand? Glassdoor, the utility that allows users to anonymously review companies with whom they’ve been involved, can give you a fairly instant gauge on the status of your current employment brand. Referrals as a percentage of hires is also a good measure, offering insight into how many candidates turn into promoters of your firm. A simple Google or social media search of your firm will also give you a sense of its standing. The goal is to understand the current perception, and to identify ways to improve both the reputation and the reality of being a candidate with your firm. Finally, your career site will offer untold amounts of data on how candidates engage with your firm. When used to its full potential Google Analytics can pinpoint which areas of the site are most visited by candidates, and which drive candidates into signing up to your firm or applying for your open positions. Further data can be obtained during the application process with the use of smart forms allowing you to analyze where candidates may have exited the application process, and which of them tended to see it through. Use the percentages of website visitors converted to submissions, interviews and placements to form a baseline from which to improve. So, while our digital world may constrict our innate ability to measure engagement face-to-face, we are by no means blind to whether our recruiting efforts are being well received or not. By using all of the mediums listed above, we can, in fact, get a deeper understanding of our candidates’ engagement than ever before. An engaged candidate is a valuable candidate. And access to valuable candidates is the key to success in recruiting. By measuring engagement you’re seating yourself in the driver’s seat, perfectly placed to guide your firm’s future. Recruiting Website Design – What NOT to do!